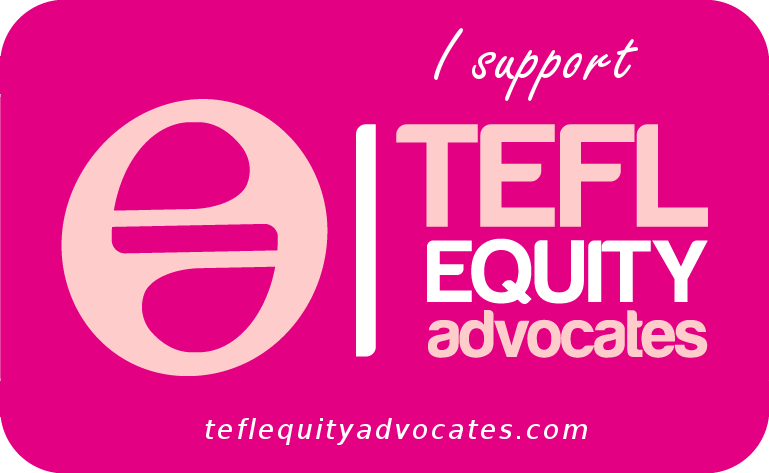 Have you heard of TEFLEquity Advocates? The main purpose of this post is to share some information about a grass roots organisation that I have only recently become fully aware of: TEFLEquity Advocates. The second part of the post highlights a few other related links you might also like to look at. Hands up if you know about it? Hands up if you knew about it before Silvana Richardson took IATEFL by storm with her fantastic day 2 plenary session? Hands up if you were like me – only vaguely aware of it before IATEFL? TEFLEquity Advocates is 2 years old. It was set up in April 2014 with the purpose of fighting the discrimination that persists in ELT hiring practices. The about page of their website stresses that it is not only for “non-native speakers” and encourages “native speakers” to get involved as well. Silly labels that we are currently stuck with aside (for an explanation of why they are ridiculous, have a look at this post of mine! 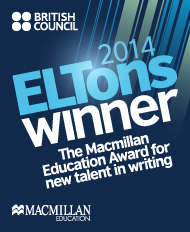 ), basically what’s important is that it is for EVERYBODY who works in ELT. And if you are reading my blog, that probably means YOU too. Even though, as I mentioned, I was vaguely aware of TEFLEquity Advocates before IATEFL, I hadn’t realised quite how extensive their website is. (It’s fantastic!) I figure that if I wasn’t aware, then there are probably others out there who now know about TEFL Equity, due to the prominence at IATEFL enjoyed by the issues that it treats, but don’t know about it and all the wonderful resources you can find on the website. Hence this post. TEFLEquity Advocates has a whole section dedicated to useful resources: You can find such gems as a reading list of academic papers relating to “NEST and NNEST” issues, complete with hyperlinks to help you access these; a list of blogs that also focus on these issues, again complete with hyperlinks; a list of anti-discrimination statements made by various organisations and finally a list of Facebook groups that you could join, in which these issues are discussed. Put this on your blog or website and link it back to the TEFLEquity Advocates website, please! Can you see mine, to the top right-hand side of my website? 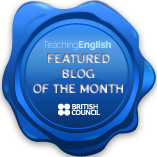 In the Blog section you can read a number of inspiring stories written by teachers (both “NNEST” and “NEST”) who have succeeded against the odds, blog posts written by the website curators (most recently, a post that questions what comes next after Silvana Richardson’s IATEFL 2016 plenary ) and, finally, a “Talk to the Experts” section, which contains a list of links to a wide range of interviews conducted by TEFL Equity Advocates. The list is broken down by background and contains categories such as Academic Directors/Recruiters, ELT Professionals, Teacher Trainers, Linguists/Scholars and more. This section contains an A-Z of schools, recruitment agencies and listing websites that DON’T discriminate. Hopefully this will be an ever-growing list, so if you think any school/recruitment agency or listing website is missing from it, there is a contact form you can use to get in touch. In the final section of the TEFL Equity Advocates website, you can find lesson resources, whose aim is (and I quote) “to raise awareness of ELF and World Englishes, NNEST discrimination, qualities of good English teachers in general and egalitarian hiring policies.” These are divided into plans intended for use in ESL and EFL classrooms and for use in teacher training. If you have any lesson materials that would fit in either category, the website welcomes you to get in touch by using the contact form. Hands up if you were aware that the TEFLEquity website contained such a lot of useful, interesting material? I wasn’t, until I got home from IATEFL and went to have a look at it! I encourage you to do the same. Read a few articles, watch a webinar, and, of course, get involved in any way that you can. The more of us who do, the better! The website already contains loads of great content, but, across the board, TEFLEquity Advocates welcome your contribution, be it by doing a webinar, writing a blog post, sharing a lesson plan or any number of other options. There is no shortage of opportunity to get involved. Silvana Richardson’s plenary recording on IATEFL 2016 online. My write up of Dita Phillips’ thought-provoking talk, I’m a Non-native speaker teacher, hear me roar! And, I’ll say again, the newest post on TEFLEquity Advocates: The Native Factor – What’s next after Silvana Richardson’s IATEFL 2016 plenary? Ignorance and silence are our biggest enemies, so let’s raise awareness and NOT stop talking about the issues until they become historical rather than current. This entry was posted in Professional Development and tagged NEST-NNEST, TEFLEquity Advocates. Bookmark the permalink.